It’s that time of the year again — when we look back on the stories we came across in the year that draws to an end and look forward to the ones that await us in the year to come, and media lists proliferate all over the blogging world. This year I’m contributing to a long and exciting list of over fifty 2015 releases over at Lady Business, but I wanted to maintain tradition by having a smaller one over here as well. 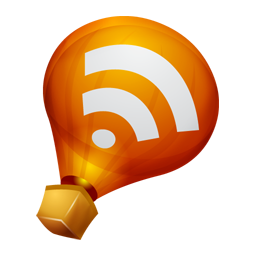 You can consider this post a sneak peek of sorts, as many of my inclusions overlap with my contributions to that list. I hope that in 2015 I’m as lucky as I was this year, when much of what I listed as anticipated releases ended up among my favourite reads of the year. Fingers crossed for another year filled with stories that don’t disappoint. Third time lucky? 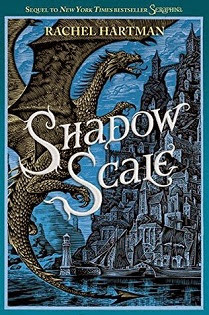 The publication date for the sequel to the wonderful Seraphina has been pushed back a few times, but hopefully 2015 is the year when I’ll get my eager hands on it at long last. I loved Doll Bones and The Coldest Girl in Coldtown and need more Holly Black in my life. As if that wasn’t enough, the blurb promises a story that plays with fairy tale conventions in interesting ways. First of all: there are no words for how much I adore this cover. 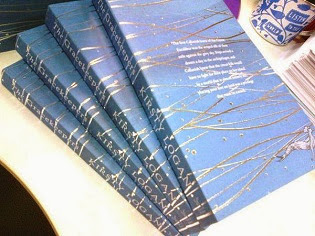 About a Girl is the last in Sarah Mccarry’s trilogy of loosely connected novels inspired by Greek mythology; having loved the first two, of course I’ll get my hands on the third as soon as I’m able. What if you lived in a world a lot like a YA novel? Where people you know have already battled vampires and zombies and soul-eating ghosts and whatever this new thing turns out to be? What if you just want to go to prom and graduate before someone goes and blows up the high school again? Not much is known about this one yet, beyond the above and the fact that it’s a comedy. BUT NEW PATRICK NESS! Need I say more? 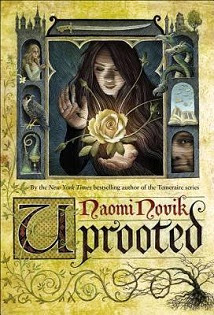 New Naomi Novik series! With dragons! I’m a big Temeraire fan and there’s no way I won’t be checking out this one. Then, a few years in, Sokrates arrives—the same Sokrates recorded by Plato himself—to ask all the troublesome questions you would expect. Jo Walton has been a presence on my my favourite books of the year lists for several years running: first as I explored her back catalogue, and this year again with her wonderful 2014 release My Real Children. You won’t be surprised to hear, then, that I’ve already pre-ordered The Just City, and will be doing the same for the second instalment in this new series come June. The award-winning, best-selling series returns, as John Lewis' story continues through Freedom Rides and the legendary 1963 March on Washington! 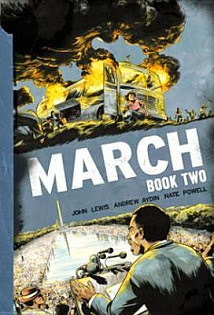 March: Book One was wonderful, and I can’t wait to read the rest of John Lewis’ moving story of being at the centre of the Civil Rights movement. 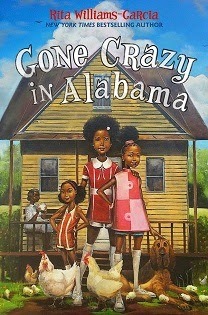 I’m so excited there’s a title, cover and release date for the third book about the Gaither sisters! 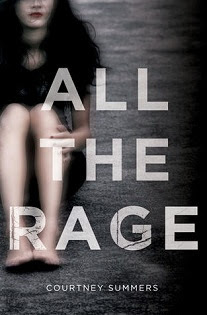 The blurb doesn’t tell us much, but as with Patrick Ness above, I don’t need much. It’s a new Ishiguro — his novels never fail to move me and I can’t wait to get my hands on this. This is 100% Memory’s fault. I read my first Courtney Summers this year (the wonderful Cracked Up To Be) and still have several titles from her backlist to catch up on, but I really like the sound of this one. Pretty book is pretty. Source. North and her bear live on a circus boat, floating between the scattered archipelagoes that are all that remains of the land. To survive, the circus must perform for the few fortunate islanders in return for food and supplies. Meanwhile, in the middle of the ocean, Callanish tends the watery graves along the equator, as penance for a long-ago mistake. All I know about The Gracekeepers is that it’s meant to be “a bewitching debut novel about a circus boat in a flooded world”. I’ve yet to read anything by Kirtsy Logan, but she’s been on my radar for ages and this sounds like a great place to start. 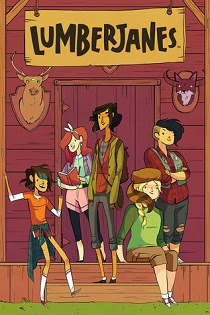 Five best friends spending the summer at Lumberjane scout camp... defeating yetis, three-eyed wolves, and giant falcons... what’s not to love?! Friendship to the max! Jo, April, Mal, Molly and Ripley are five best pals determined to have an awesome summer together...and they’re not gonna let any insane quest or an array of supernatural critters get in their way! You had me at “friendship to the max”. There’s been a lot of buzz about this comic book series among people whose taste I trust. I rarely manage to keep up with single-issue comics, so I eagerly await the publication of the first collection next year. 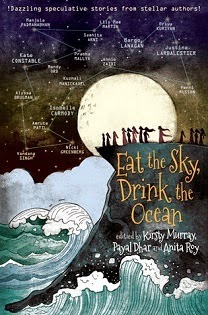 I love the premise of this anthology, plus new story by Margo Lanagan! Say no more. The eight exquisite examples in this collection show [Link] in full command of her formidable powers. In "The Summer People," a young girl in rural North Carolina serves as uneasy caretaker to the mysterious, never-quite-glimpsed visitors who inhabit the cottage behind her house. In "I Can See Right Through You," a onetime teen idol takes a disturbing trip to the Florida swamp where his former on- and off-screen love interest is shooting a ghost-hunting reality show. In "The New Boyfriend," a suburban slumber party takes an unusual turn, and a teenage friendship is tested, when the spoiled birthday girl opens her big present: a life-size animated doll. Hurricanes, astronauts, evil twins, bootleggers, Ouija boards, iguanas, "The Wizard of Oz, " superheroes, the Pyramids . . . These are just some of the talismans of an imagination as capacious and as full of wonder as that of any writer today. But as fantastical as these stories can be, they are always grounded by sly humor and an innate generosity of feeling for the frailty—and the hidden strengths—of human beings. 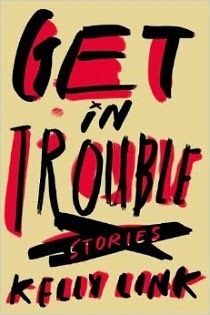 And speaking of brilliant short story writers, new Kelly Link! When a storm damages the roof of their home, Binny and her family must move to a rental home out in the country. Binny, her sensible older sister Clem, and her rambunctious brother James (and his chickens) begin adjusting to a new household. Then one of James’s beloved chickens vanishes. What kind of creature is lurking in the undergrowth? And does it need Binny’s protection. Sequel to Binny for Short! I adored that book, and earlier this year I had a lovely/heartbreaking conversation with a girl in the reading group I run, in whose hands I’d put it after our previous session. The UK paperback edition has a small thumbnail of the sequel in the back cover (with cover art I prefer, but couldn’t find online), and when she saw me next she pointed to it excitedly and said, “This! Where is it? Can I borrow it now? !” I had to explain it wasn’t out yet, and in fact at the time I hadn’t even been able to find a publication date — then we wailed together in agony for a few minutes. I feel your pain, kid. I feel your pain. NEW TIFFANY ACHING. This is all I know for now, but again, nothing more is necessary for me to reach maximum levels of excitement. Jack, Daniel, Sasha and Gavin, four talented musicians at the end of their high school careers. On the dream-like night of their last concert, Gavin's girlfriend Anna disappears. Ten years later Gavin sees a photograph of a little girl who looks uncannily like him and who shares Anna's surname, and suddenly he finds himself catapulted back to a secretive past he didn't realise he'd left behind. This is not really a new book, but rather one that will be newly released in the UK next year with the gorgeous cover above. I loved Station Eleven and definitely want to explore Emily St John Mandel’s backlist. All of her books sound great, but The Lola Quarter is the one whose blurb appealed to me the most. In the Fire Nation, Iroh still awaits the return of Fire Lord Zuko, who is bringing home Ursa and her family for the first time since her banishment. However, the capital city faces a new uproar caused by the New Ozai Society, who aim to dethrone Zuko in favor of his father, forcing Zuko to protect his family against the legacy of Ozai. Beside the political turmoil, the Fire Lord also needs to face his ex-girlfriend, Mai. 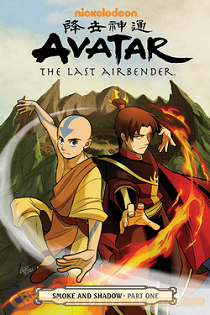 Moar Avatar: The Last Airbender comics by Gene Luen Yang! I love what he’s done with these characters so far and can’t wait for this new story. Also, that cover! I still have a lot of feelings about Zuko and Aang. Lastly, another Veronica Mars book! To be honest I still haven’t read the first one, even though I’ve owned it since it came out, but no matter — I’m just thrilled that another one exists. The above blurb is the sort of thing that tends to make me suspicious, but it’s Veronica Mars. They won’t get it horribly wrong, right? What about you — what are you looking forward to in 2015? Anything I missed? Oh my goodness, what a year! I'm so excited for Uprooted, and The Just City sounds fascinating -- isn't Jo Walton amazing? JO WALTON. JO WALTON. JO WALTON. 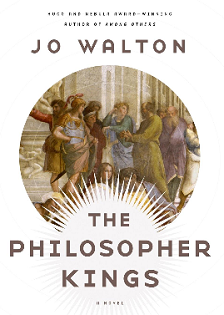 I haven't looked that far ahead in 2015 yet, but any Jo Walton is good Walton. That's a lot of great looking books. 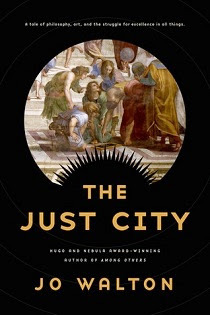 I got my hands on a copy of The Just City from netgalley and loved it, right up until the end. But only then did I discover that it was part of a trilogy. I was so relieved that I could go learn what happens next. That is a great list of books! Most of them are on my list too, and the ones that weren't I'm going to check out. You always recommend excellent books. 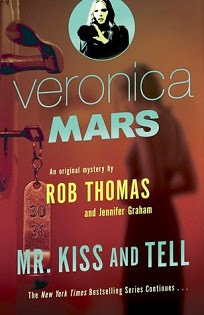 I do want to give you a Veronica Mars tip--the audiobook is FANTASTIC. Kristen Bell reads it, and she does an amazing, amazing job. I recommend it very highly, if you love the show--her performances of all the characters are just wonderful. Tiffany Aching! Jo Walton! Lumberjanes! Seraphina! Ah, so much to read next year. Wow, what an amazing list! I hadn't realized there was so much reading goodness to look forward to in 2015. I look forward to The Lumberjanes, the Jo Walton books, the Ishiguro and Gone crazy in Alabama! I forgot the new Rachel Hartman book was coming out next year! Yay to that! And I forgot about the Patrick Ness book as well -- that should have been on my list. 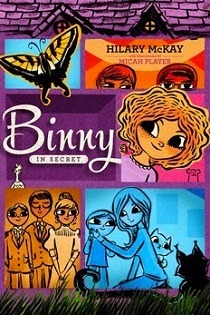 AND I did not know Binny in Secret was happening. My wonderful Hilary McKay. I wish she would release twelve new books every year, and I would read them all and it would be the best. Yes yes yes to all of these! Kelly Link! Patrick Ness! Jo Walton! And totally can't wait for the Rita Williams-Garcia. Yes! Yes! Jo Walton! 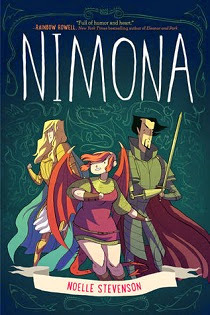 Nimona! Shadow Scale! BINNY!! I really need to catch up with Sarah McCarry--I've been hearing such good things about her. I've also pre-ordered The Just City! And the Veronica Mars book is fun; I look for the second one to be just as fun. In case you need more VMars in the form of fanfic, my daughter has a great mashup of VMars with Supernatural, and she gets that rapid-fire VMars dialogue just right. Wow. What an awesome, exciting list, Ana. I haven't looked yet to see what's coming out, so this is my first glimpse of the upcoming books, and I am so excited. The sequel to Seraphina!! Uprooted sounds so very good. 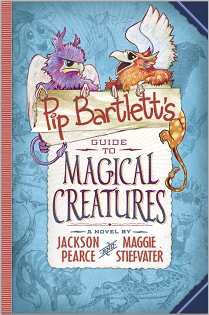 Pip Bartlett's Guide would be for my daughter. And a new Veronica Mars novel - though I haven't read the first one yet either, surprisingly! The Holly Black sounds very good too. 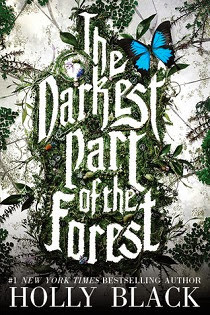 I love the title 'The Darkest Part of the Forest'. 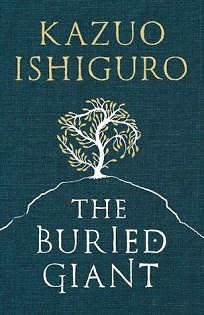 The new Kazuo Ishiguro looks quite interesting - looks like the master has decided to write a fairytale. Can't wait to find out how it is. OMG. A new Patrick Ness!?!?! You just made my night!! Oh my goodness! So many books that look so good on your list! 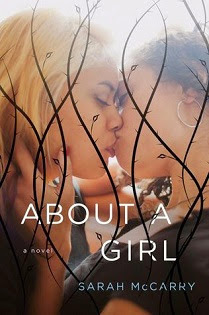 I love the About a Girl cover. Thanks for single handedly adding many new books to my TBR! This wishlist has so many books I would like on it. Kazuo Ishiguro's new book is at the top of my list, although there are plenty of next book in series and sequels I am looking forward to as well (including the sequel to Seraphina which like you I am hoping happens this year!). Thanks for the list! I"m actually reading the Holly Black one rn, I like it quite a lot. Hope your 2015 reading pleases in every way! Ok so this is just plain CRUEL. Some of these were already on my list, but now .... just added several more. How did I miss this post? How, how, how? I'm crazy excited for you to read NIMONA. It's awesome.